At Active Family Chiropractic & Wellness, we feel the most important time to ensure your body is functioning properly is when you are developing and changing most rapidly. During infancy, adolescence, and pregnancy our bodies change at extreme rates, far greater than any other time in life. Chiropractic care focuses on the vital link between your brain and your body. If the signals from your brain to your body and from your body to your brain communicate properly and free from interference, you are more likely to develop, adapt, and function in a normal and healthy manner. If there is interference in this communication, caused from spinal misalignments altering this nerve flow, the result will be slow or abnormal development and poor health. In infants and children, subluxation or interference between the brain-body communication can lead to a wide variety of symptoms. These common symptoms include: colic, ear infections, sensory processing disorders, unexplained crying, digestive issues, learning disability, bed wetting, asthma, and many more. Many times, these symptoms are related to undetected trauma caused from the birth process or injuries sustained while learning to crawl, walk, and play. Chiropractic care during pregnancy is one of the best things you can do for yourself and your baby. 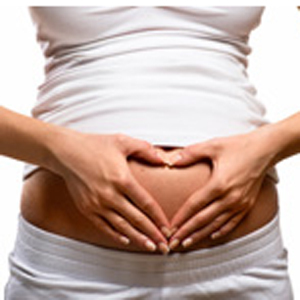 In pregnancy, the health of a pregnant woman not only affects her, but the child as well. Besides nervous system function, spinal and pelvic alignment and motion is crucial to allow the baby enough room to develop and grow within the womb. Proper pelvic alignment also allows for a safer, faster, and much easier labor for both mom and baby. Chiropractors are specially trained to detect and correct spinal misalignments that lead to poor communication between the brain and body. This allows your body to function at its full potential and to express its true self! Knowing the importance of nervous system function in both mom and baby, Dr. Nelson has expanded his studies in the areas of Pediatrics and Pregnancy to help mother and child become as healthy as they possibly can be. Call our West Des Moines office today and schedule and appointment!